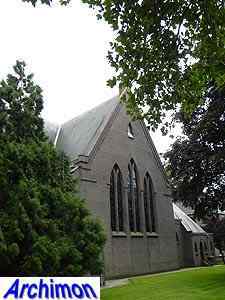 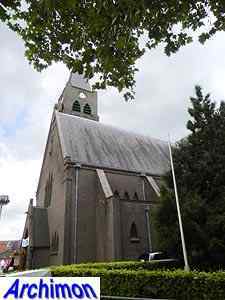 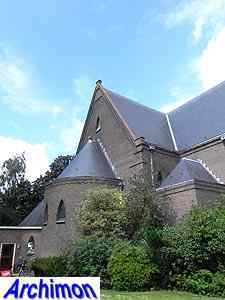 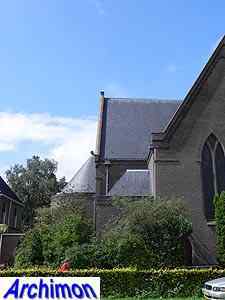 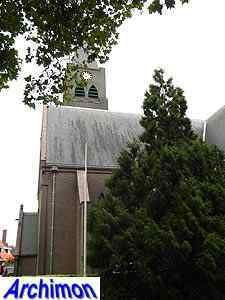 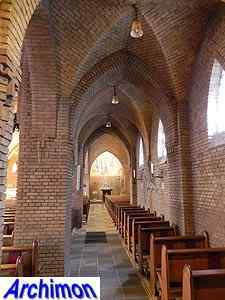 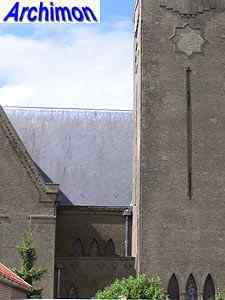 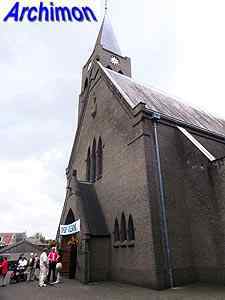 Almost three centuries after the Reformation, the catholics of Heino, after having used several barn churches, built a true church in 1857-1857. 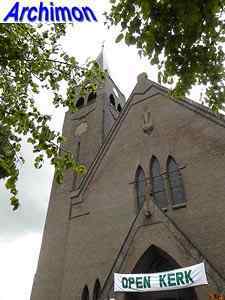 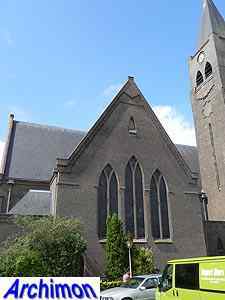 It was a neo-Gothic church, designed by H.J. 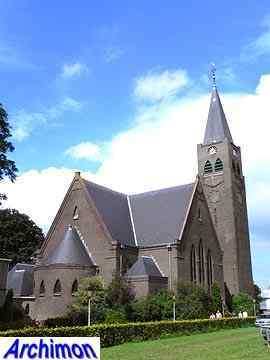 Wennekers, which was enlarged by G. te Riele in 1888 and already by 1922 was in a bad state. 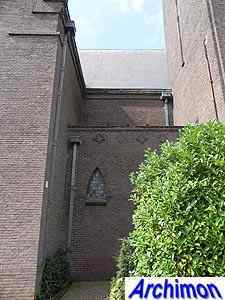 That year plans were made to replace the church with a new one, designed by architect M. Roebbers from Deventer, whose only other known church was built in his home town several years later. 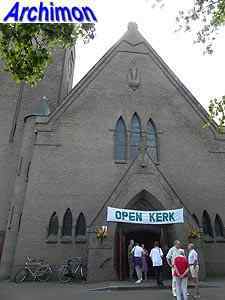 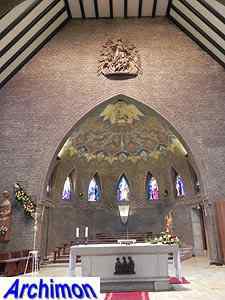 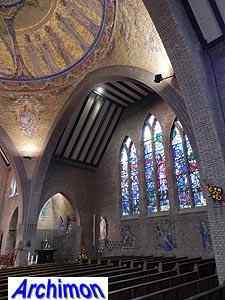 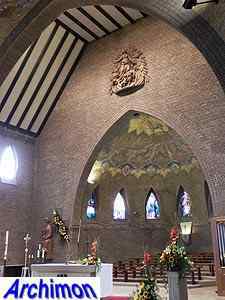 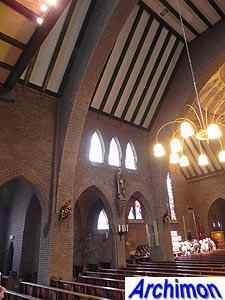 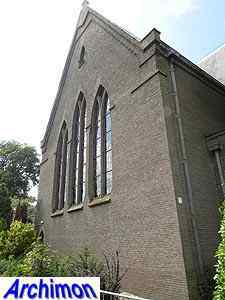 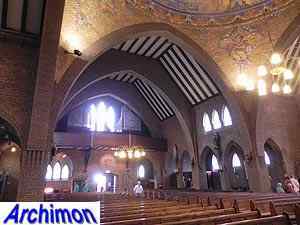 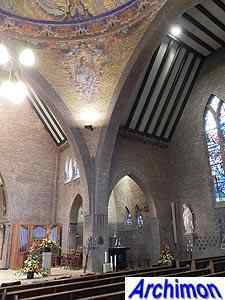 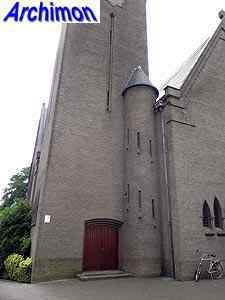 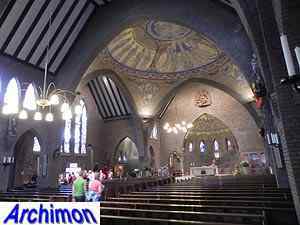 Although not an experienced church architect, Roebbers designed an impressive building in an Expressionistic style with neo-Gothic details. 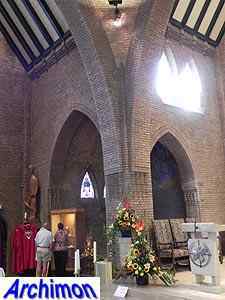 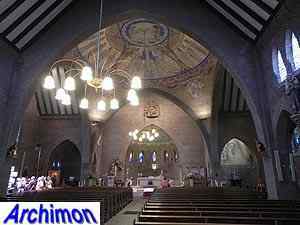 The church has a centralizing ground plan, with a wide nave and a wide transept forming a large central space. 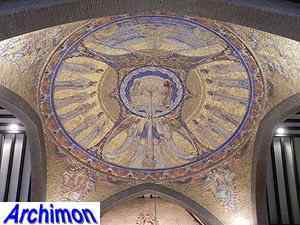 Inside, this central space is dominated by a dome, which is not visible on the outside. 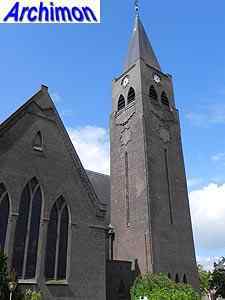 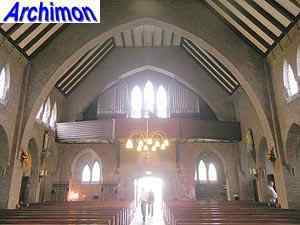 During fighting at the end of World War Two, the church was severely damaged. 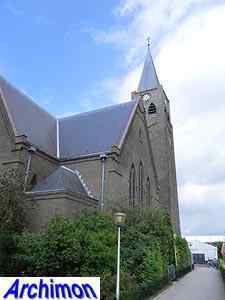 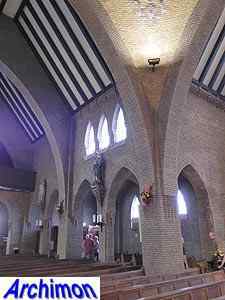 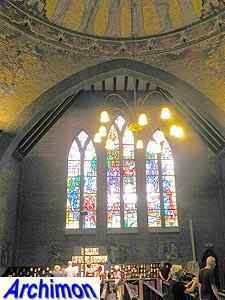 Although architect J. Haket proposed demolition of the church, it was restored within a year.